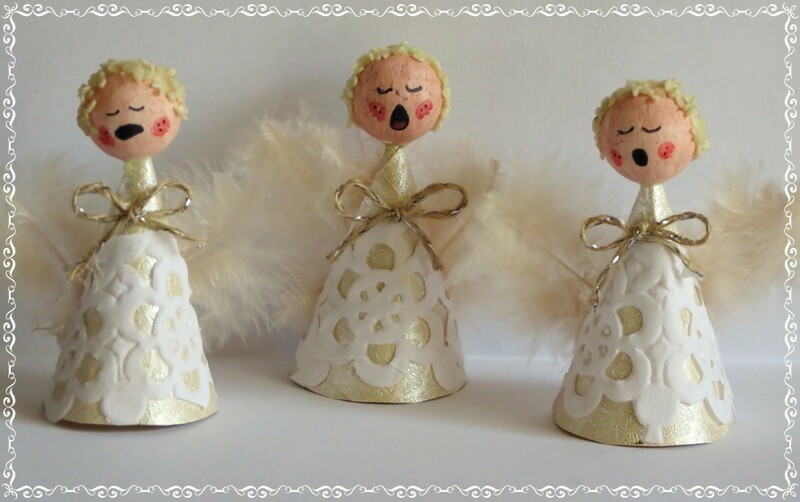 Make a miniature choir of angels singing about the joy of Christmas. 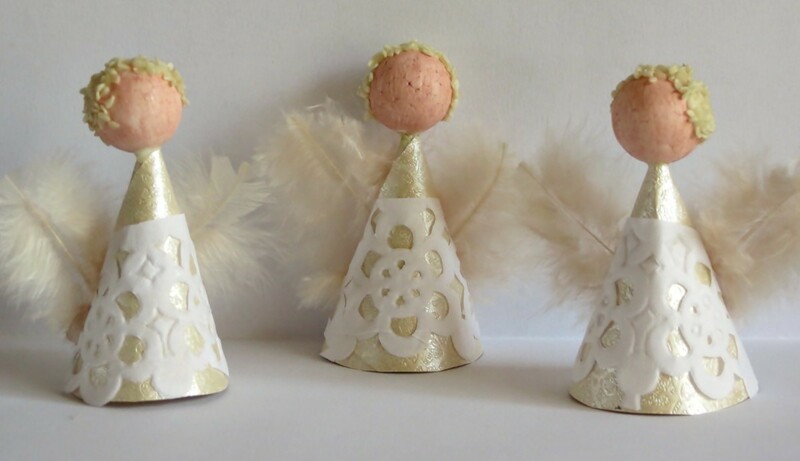 These delicate angels are sure to steal the show. 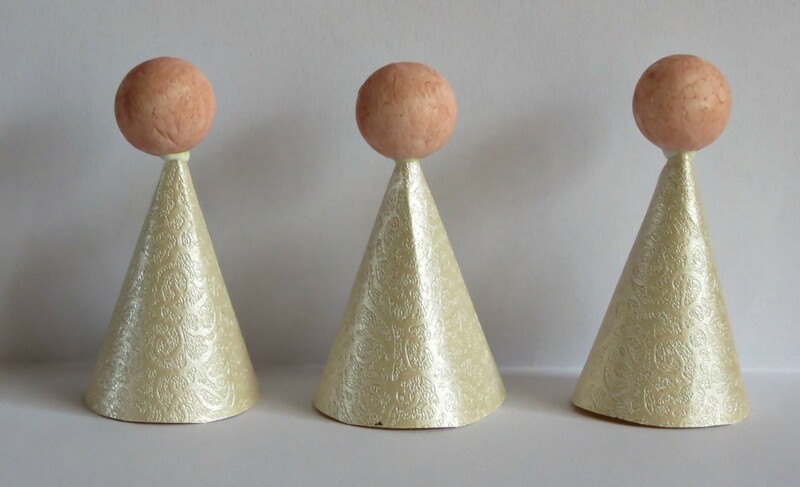 You can use them to decorate a mantelpiece, or use this heavenly choir as part of your table decorations for your Christmas Eve dinner. 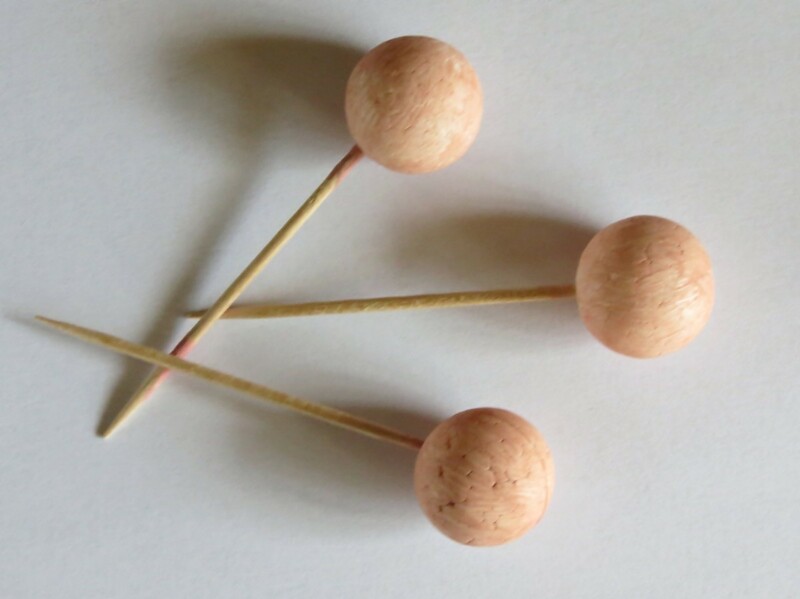 Add Pritt liquid glue to the tip of a toothpick and push the toothpick into one of the polystyrene balls. Do the same with the other two toothpicks and allow to dry thoroughly. Then, paint the polystyrene balls with the flesh paint and allow to dry. From the golden cardstock, cut three strips, each sized 3.7" x 2.1". 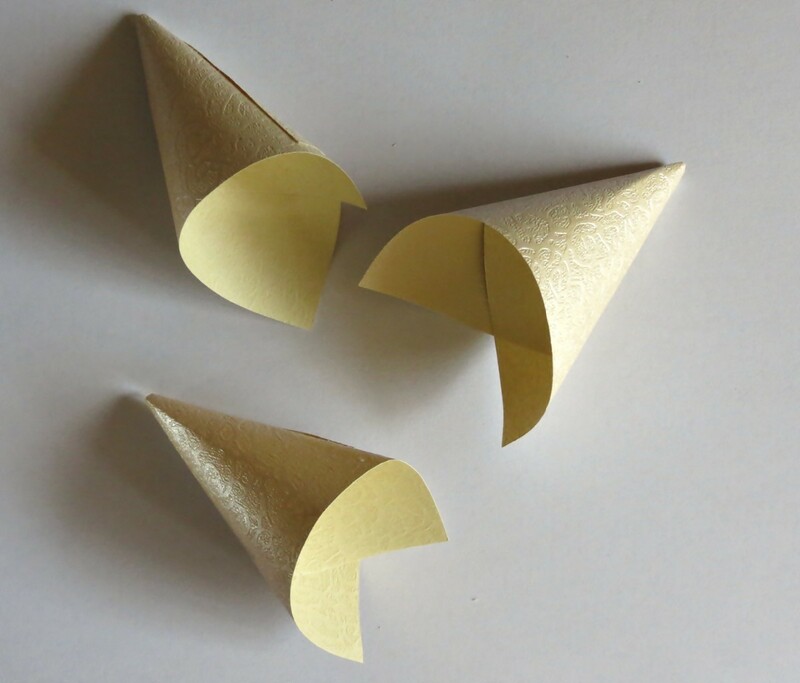 Roll each strip of golden cardstock into a cone and secure the ends with Bostik. Note: Leave a small opening at the top when rolling the cone, so that the toothpick would be able to fit inside the cone. Use the scissors to trim the bottoms of the cones even so that the cones will be able to stand on a surface. 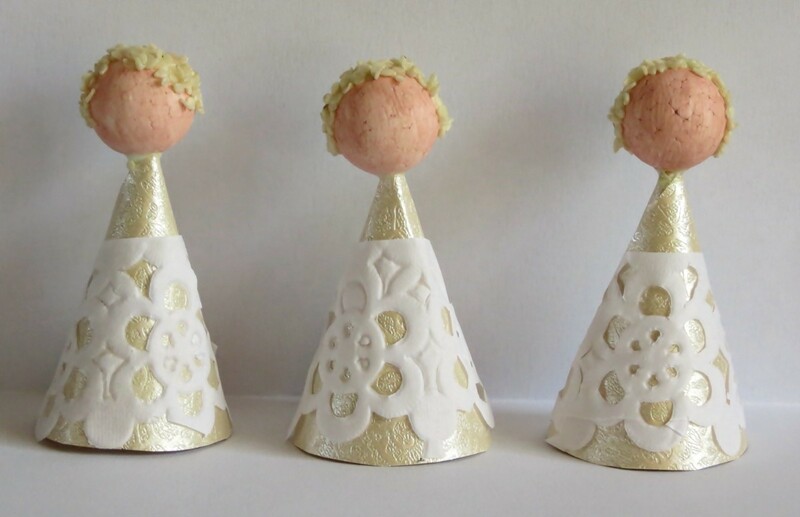 Now add the angels' heads to the cones: Add Pritt liquid glue around the base of each polystyrene ball. Push the toothpick through the opening at the top of the cone and allow to dry. 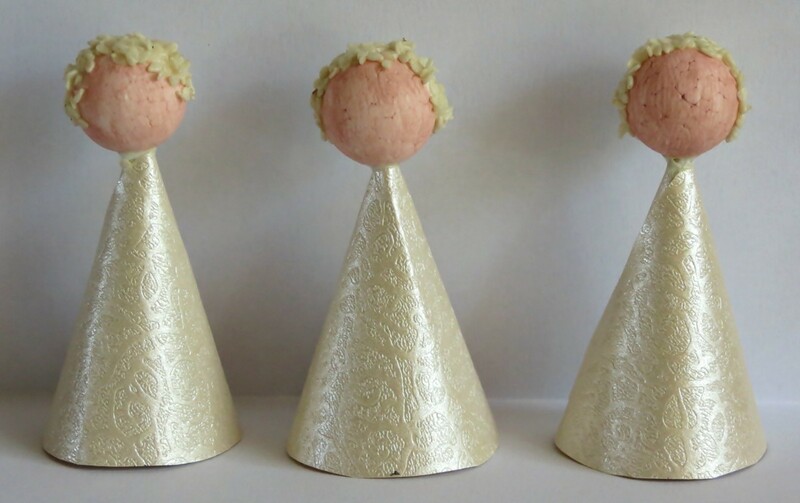 Use Pritt and sesame seeds to make hair for the angels. Cut off the lace part of the doily. 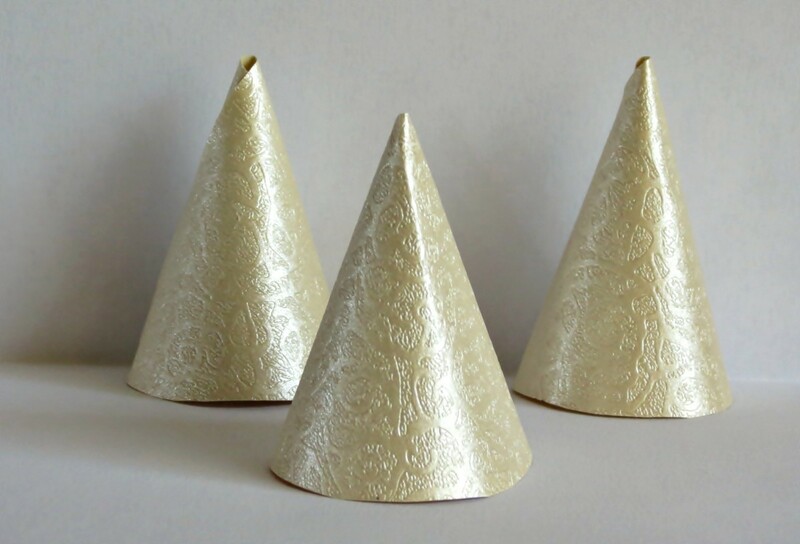 Cut the lace part into smaller strips and use Bostik to glue a piece of lace strip around the bottom of each golden cone. Glue two feathers to the back of each cone to make the wings. Use the black pen to draw singing mouths and eyes, and the red pen to add rosy cheeks. 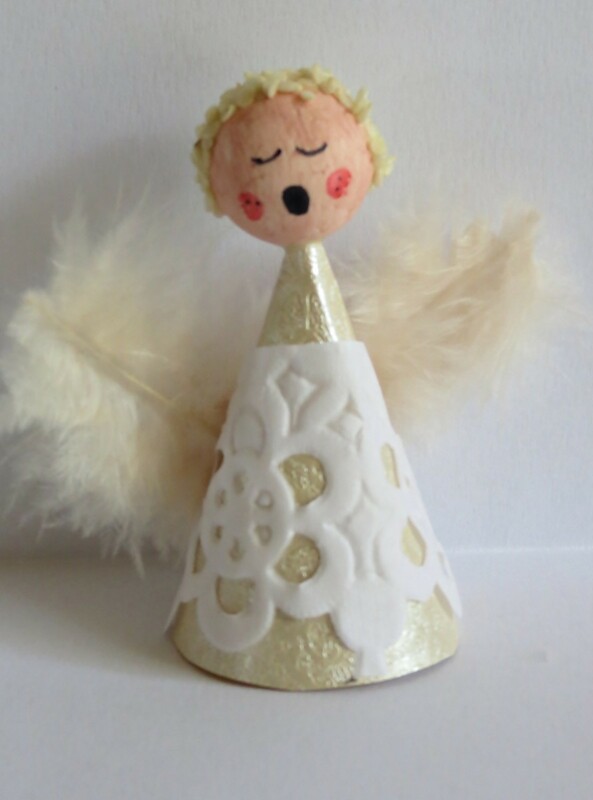 Make small bows with the jute ribbon and glue a ribbon to each angel. 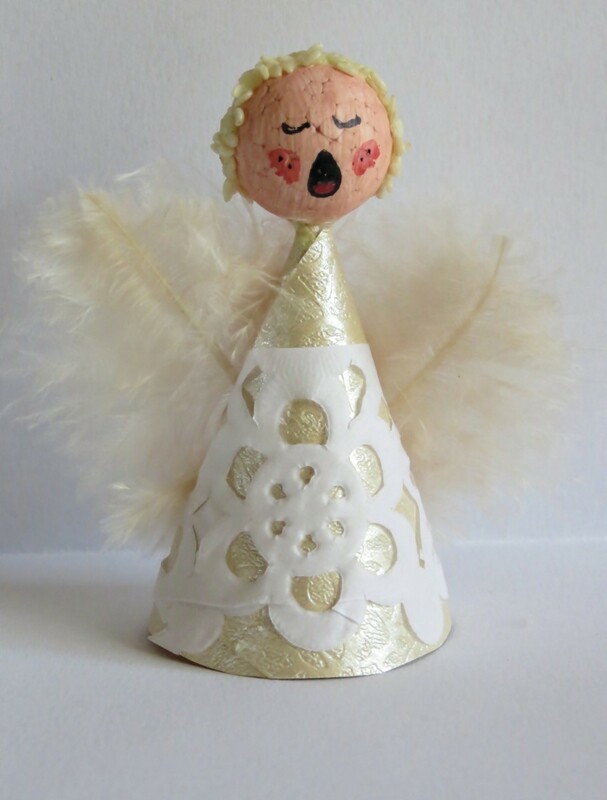 Now your choir is ready to sing Christmas songs!